Though the hurdles of life have kept my posts on TMS at bay as of late, I had to take the time to discuss the wonderful events that transpired after I shut my eyes last night. 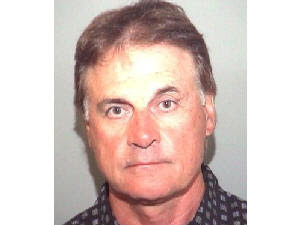 First and foremost, a round of applause to Tony LaRussa, who I'm sure you've heard by now was found asleep at the wheel and charged with a DUI. Yes, he was wearing his trademark tinted glasses at the time. As this mugshot shows, he is now wide awake and hopefully contemplating suicide. The surly LaRussa has never been a fan favorite in St. Louis, despite his success, and this incident will certainly not endear him any further with the Cardinal faithful. Needless to say, he is generally abhored in Cub-dom. Alas, not much will come of it. It's difficult to reprimand an employee for a DUI when your entire baseball franchise has historically been propped up by Budweiser. A public tongue-lashing and small fine will likely be the extent of his punishment, along with the years of embarrassment. If we Cub fans are lucky, perhaps LaRussa will step down from his post after this year, followed by a string of hapless seasons for Poop-holes and the Cards. The other sports tidbit which is cause for celebration in the heartland is late word that Steve Alford will be resigning his post as basketball coach of the Iowa Hawkeyes, and assume the same position at the University of New Mexico. A press conference is expected Friday. And the peasants rejoiced. If only Dr. Tom Davis could be coaxed out of retirement. Look for a Steve Alford War Criminal profile in the near future.